Police are looking for Nairobi assembly clerk Jacob Ngwele after he escaped arrest by DCI officers at the assembly on Friday. Three of his colleagues were arrested. The office of the Directorate of public prosecution ordered for his arrest for irregularly awarding a tender. Mr. Ngwele has gone missing with no one knowing his whereabouts ,his phone has also been switched off. 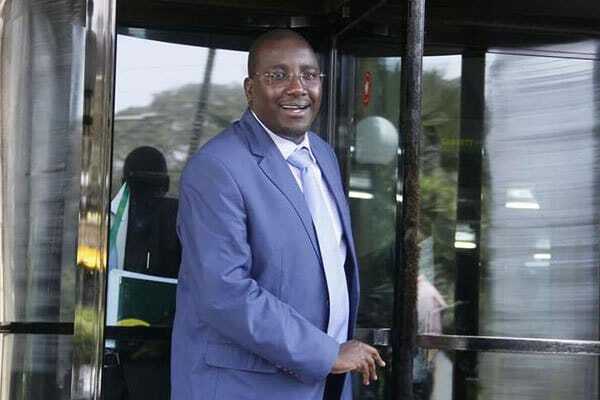 The DPP also ordered for the arrest of Deputy Clerk Adah Awuor Onyango, senior procurement officer James Kariuki Kaguma and senior finance and planning officer Fredrick Macharia Mwangi who are currently in police custody. Businessman Maluki Mwinzi of Primara Ventures is yet to be arrested. According to the DPP a tender for books was given to the aforementioned company for a sum of Sh.997,926 but the books were not delivered. “I have independently reviewed the file and I am satisfied that the persons named herein actively participated in the perpetration of the alleged criminal activities and should therefore be charged and prosecuted,” the DPP said. Mr Ngwele has previously said that his troubles began when the speaker Beatrce Elachi wrote to the DCI to investigate financial malpractices from his office. He insists that the speaker’s interests were on the Sh150 million tender for the acquisition of the Speaker’s residence. The two senior county official s have been on each others necks in the recent past with Jacob Ngwele asking speaker Ms. Elachi why she wanted to destroy his career. Ms Elachi said that he should not raise his voice and that he would given a chance to clear his name. “Why are you destroying my career? Why do you want to ruin my life? Why should you try to embarrass me?” the Clerk shouted at Speaker Elachi. “Don’t raise your voice at me. We shall give you time to defend yourself. You should not raise your voice at me,” Ms Elachi told Mr Ngwele.